Mayfair Games is happy to drop the beta tag from Catan Anytime. Catan Anytime is a casual, free-to-play web variant of The Settlers of Catan and by Bontom Games, in cooperation with Internet Explorer and Catan GmbH. Now the whole Catan community can connect through an evolving digital social game experience. Catan Anytime provides a new way to experience Catan. Easy to play and designed for touch across any device, it gives players easy access to a Catan experience. Its turn-based asynchronous gameplay and automated trade and roll features streamline and the play flow, making it flexible and portable. Its simplified game features and open architecture make it simple to learn and permit dynamic development. 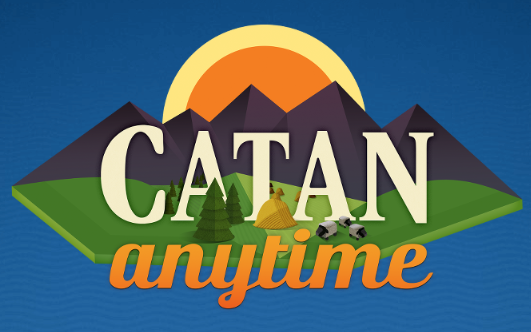 Invite friends to play Catan Anytime via Facebook or email. A tutorial that walks you swiftly through your first turn, so anyone can jump into the Catan experience. Whether you’re an experienced player or simply heard about Catan, check it out.